The listings shown below are the latest reviews and ratings added to TEQUILA.net, including products, bars, and liquor stores. "I should have started with the blanco, but this was on sale..."
"Looks like Corazon moved to San Matias distillery, one of my favorite..."
"Finally, Im starting to taste the Tapatio line. 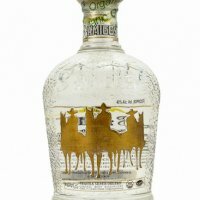 Im so behind the..."
"My initial reaction to this "value" tequila is that its very similar..."
"This review after the second bottle of Espolon Reposado. The fact that..."
"Alright...Corazon Reposado. Initial nose has a bright and peppery smell.Initial taste was..."
"I was vacationing in Southeastern Texas close to Jasper. I told the..."
"I'm sad that I can't write a good review for this tequila...."
"An enjoyable blanco. A light agave aroma. Initial taste was a..."
"Nose and (especially) initial taste are almost obnoxiously vanilla. Body has more..."
"I'm a tequila noob and thought a review of this Patron liqueur..."
"Picked this up from Wine World after reading the reviews here. For..."
"this is the $50 bottle that Patron aspires to be. try it...."
"My all time favorite and not my all time favorite. Let me..."
"A wonderful sweet nose of agave, citrusy fruit, and light vanilla. A..."
"A light refreshing nose of creamy baked agave with some earth and..."
"I picked up a bottle of this last weekend as a birthday..."
"Not available in my area, I brought some back with me after..."
"Colour is a very light straw, lighter even than many repos out..."
"I am quite angry about this purchase. At $53 before tax I..."
"An exceptional Tobala. The initial taste is incredibly round and generous with..."
"Looking past Muchote's old-timey elixir bottle design, I will concur with the..."
"A beautiful fruity nose, with some agave, a touch of caramel, and..."
"Clean, soft, and overall delicious. Tremendous value. A little bit..."
"Rich, smooth, full bodied tequila with an outstanding aroma, tremendous flavor and..."
"Absolutely stunning Blanco. Second best I've ever enjoyed --- only..."
"Enjoyable, solid, quality tequila. I didn't find it particularly memorable...."
"For $11 I would expect this tequila to be on par with..."
"This is my first review on this page. I had avoided Cabo..."
"Having bought this bottle to add to my cellar for a later..."